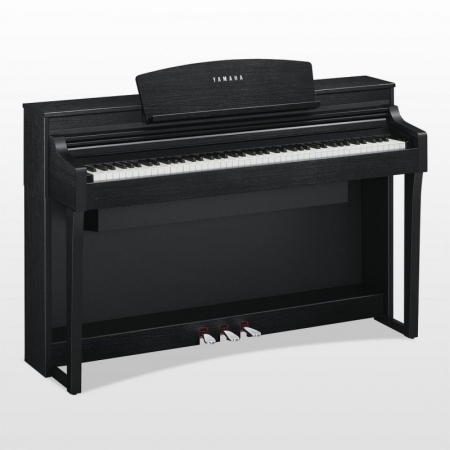 88-key NWX (Natural Wood X with escapement) keyboard with synthetic ivory key tops, linear graded hammers and counterweights, 8.5inch (800 x 480 dots) TFT LCD colour touch screen, Yamaha CFX & Bosendorfer Imperial concert grand piano sounds, Virtual Resonance Modelling (VRM), 256-note polyphony, GP Response Damper Pedal, 1,270 Voices + 37 Drum/SFX Kits + 480 XG Voices, 600 Styles (30 Audio Styles, 473 Pro Styles, 52 Session Styles, 9 Free Play Styles, 36 Pianist Styles), Piano Room with Session Mode, Music Finder (2,500 records), USB Audio Recorder (Playback: MP3, WAV / Recording: MP3, WAV), (30W + 30W + 20W) x 2 + 40W amplifier, (16cm + 5cm + 3cm (dome)) x 2 + 20cm speaker system, Vocal Harmony 2, Intelligent Acoustic Control (IAC), Acoustic Optimiser. Connect an iPhone, iPad or iPod touch with an optional UD-WL01 USB WiFi adapter or i-UX1 MIDI interface. Polished Ebony finish. 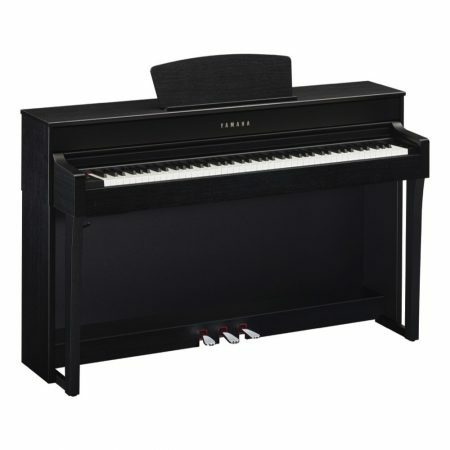 From professional piano performance to simply discovering the joy of music for the first time, the CVP-709PE is truly a family musical entertainment center. 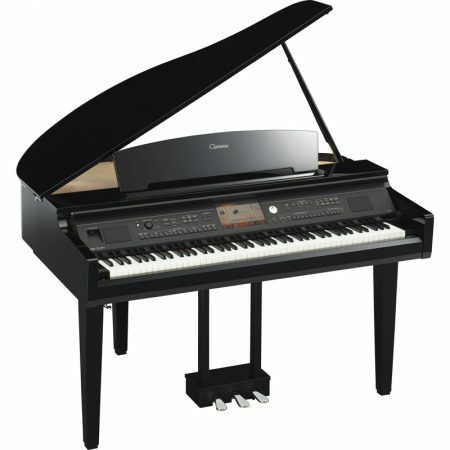 It’s the first CVP Clavinova featuring not one, but TWO world-class grand pianos (Yamaha CFX and Bösendorfer Imperial) inside one digital piano. The Piano Room feature has been expanded to include more pianos and a new Session Mode with a built-in recording studio for capturing and sharing your music. In addition to the NWX (Natural Wood X) keyboard with synthetic ivory keytops, the 88-key Linear Graded Hammer action dedicates a unique weight for each key over the entire keyboard. Each key also features carefully-adjusted counterweights for improved playability when playing pianissimo and better key return in rapid passages. The NWX keyboard also features an escapement mechanism that reproduces the feel of an acoustic piano as it goes through the let-off and drop of the hammer when a key is played very softly. 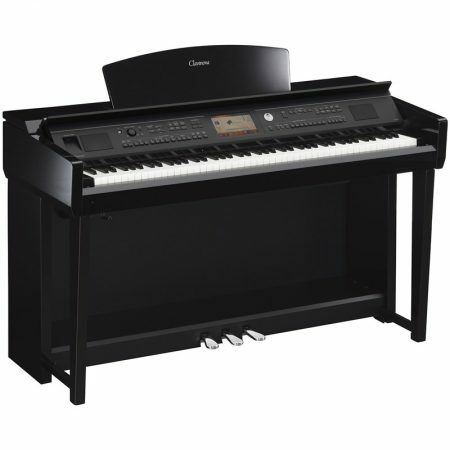 Beyond the CVP-709PE’s piano performance is a wealth of interactive musical features capable of making music fun for anyone regardless of skill level or experience. The enhanced Piano Room now includes the world-class Yamaha CFX and Bösendorfer Imperial grand pianos, plus vintage electric pianos. In Session Mode, you can invite three virtual musicians into the room to “jam” with you as you practice and perform in one of 40 different musical styles. These session musicians will automatically follow your harmonies and your volume expression using the new Dynamics Control feature. You can selectively activate and deactivate each one depending on your musical needs at the time. Within this special room, you can even record your sessions with the touch of a single button. Yamaha is the World’s largest manufacturer of musical instruments, and CVP Clavinovas contain high-resolution, high-definition recordings only possible from a company with this rich herritage. Super Articulation (SA) and Super Articulation 2 (SA2) Voices are both highly advanced and easy to use, making you sound like a pro. With them you’ll hear the most realistic reproductions of legato and staccato performance techniques that are so essential to playing bowed and wind instruments. By simply varying your touch and playing techniques or using the pedals, SA and SA2 Voices will add significant authenticity to your sound. 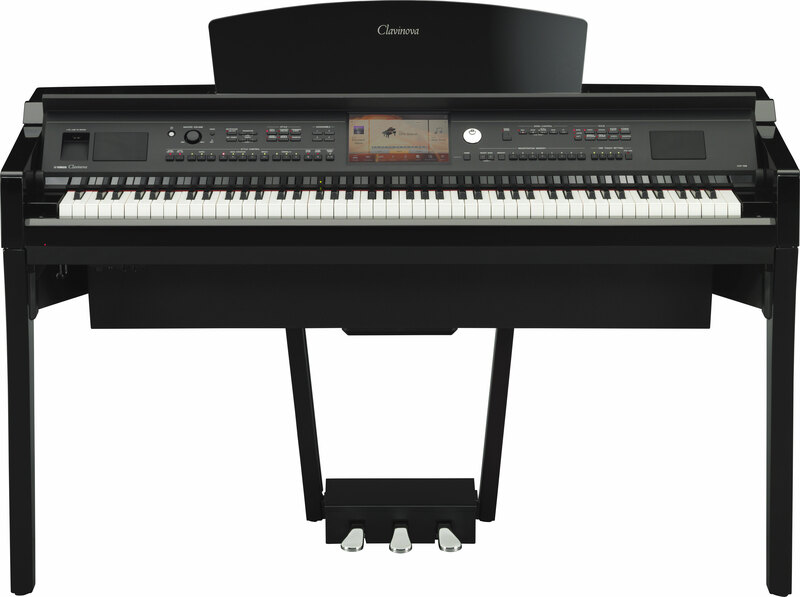 One of the defining features of a CVP Clavinova is the multitude of different Styles that can be controlled in real-time by playing chords on the keyboard. Accompaniment Styles introduce ensembles of virtual musicians to your performances in a variety of musical genres. From small jazz ensembles to full orchestras, you control what chords or harmony they play by what YOU play, plus you control the dynamic of the ensemble. Developed by professional session musicians from around the world, Styles add authentic, studio-quality backing players to your performances – even when you play by yourself. You can use Styles to add embellishing Intros, Endings & Fill-Ins and even arrange songs in real-time. CVP Clavinovas are very patient: if you don’t play the right notes, they wait until you do! This is made possible with the CVP’s unique Guide feature. 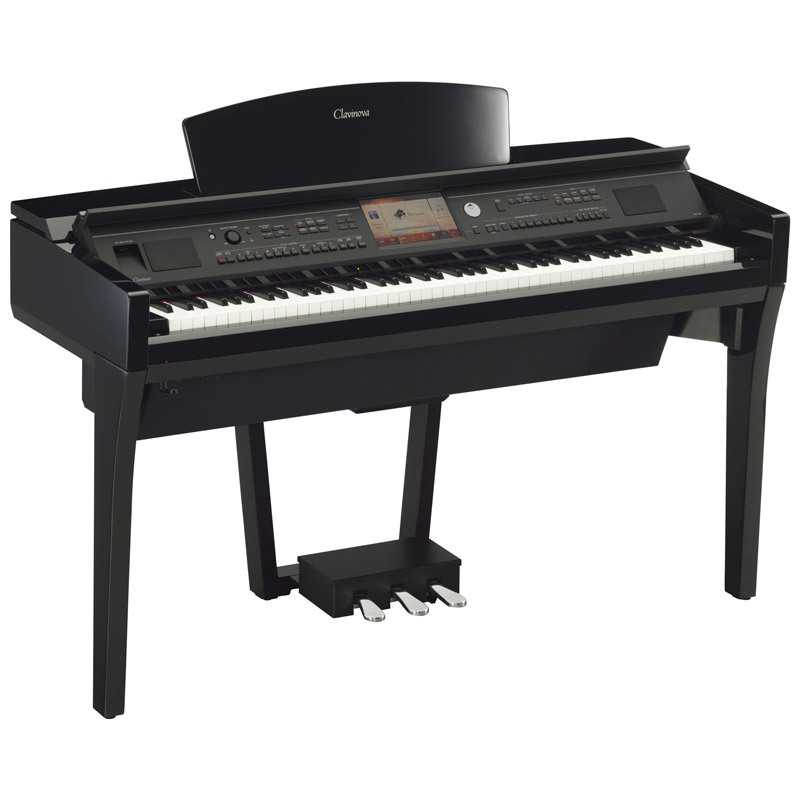 As the easiest way to play a song, the Follow Lights library teaches you popular melodies in a way only possible on a CVP Clavinova. Just follow the lights one note at a time, and fully-arranged orchestrations and arpeggios embellish your playing. Here, you don’t play along with a recording, the recording literally plays along with YOU. Visit www.yamahamusicsoft.com/followlights to browse the entire library today.